Kiranpal Singh is one of a select few senior and leading disciples of Shri Pandit Shiv Kumar Sharma. Ethereal resonating sounds, gossamer melodic lines and stunning tonal effects and when heard together with the rhythmic Tabla accompaniment by Dheeraj Sahai-­‐Mishra, the listener is transported at once into deep nature and a sense of being in one’s place in the cosmic tapestry. Kiranpal’s inspiration and first teachers were his parents. Whilst in school he learnt Tabla from Ripudhamman Singh Plaha of Punjab Gharana in a school of tabla playing for 7-8 years. Kiranpal is available for concerts formal as well as house, lecture demonstrations/workshops, weddings/cross-cultural projects and private tuition in his music room which he had specifically built. He also teaches many instruments and his theme is ‘learn Indian Classical Music on your instrument’. Kiranpal’s Santoor can be heard in his site. Kiranpal is available to play soothing instrumental music for any occasion. He usually plays as part of his group accompanied with Tabla and Tanpura or other instruments/vocal/dance which can be catered for. Kiranpal plays music for world peace love and harmony. To listen to Kiranpal Singh playing the Santoor is to be transported into a world of history, beauty, tradition and authenticity. 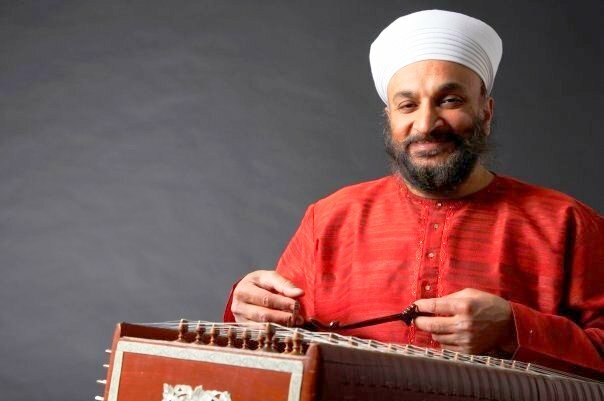 This, in turn, has led him to be sought after as a co-leader of ground-breaking developmental and cross-cultural projects, whilst continuing to advance the presentation of Indian Classical music to ever widening audience through his solo work. November 2018 – Forthcoming release of of my new recordings. 1994 – STRINGS OF PARADISE – Raga Bageshwari and Bhairavi. 1994 – STRINGS OF ELEGANCE – Raga Chandrakauns and Sindhi Bhairavi (tabla Sukhvinder Singh). 1995 – RAGA SHREE (tabla Shafaat Ahmed Khan). 1996 – MOMENTS IN TIME – Raga Kaunsi Kanhra and Bhairavi Dhun (tabla Sukhvinder Singh Namdhari). 2001 – MORNING MEDITATION – Raga Todi and Bhairavi Thumri (tabla Sukhdev Singh Namdhari, disciple of Pandit Kishan Maharaj).